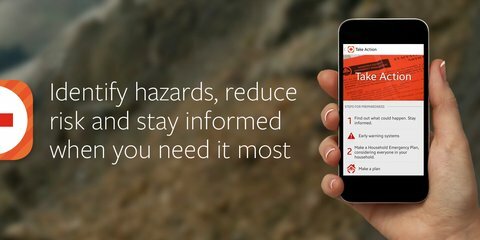 Download the Hazard App to help you and your family prepare for and respond to hazards in New Zealand. The app is a vital tool to help you get through emergencies and get disaster alerts. The Hazard App gives information to help you through an emergency. First read the information below and the Hazard App FAQs. In the FAQs, you'll find a 3-minute video with clear and helpful information on how to set up your Hazard App alerts and locations. 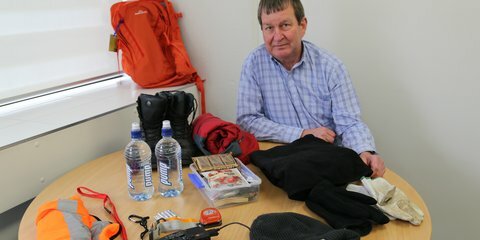 In New Zealand we know disasters can strike anytime, anywhere and affect anyone. The Hazard App is a free, comprehensive and convenient way to be ready for emergencies. Being prepared for hazards reduces our vulnerability to them and helps save lives. Educate and empower yourself, your family and friends to be ready in an emergency. The Hazard App can help you identify, prepare for and respond to hazards in New Zealand. The app is pre-loaded with information about hazards including floods, earthquakes, tsunami, fire, weather and biosecurity risks. The app will guide you through preparing an emergency response kit and plan, what to do during an emergency and give you step-by-step information to help you recover. This pre-loaded content means you have instant access to all information, even without cell phone reception or an internet connection – anytime, anywhere. You will receive alerts from New Zealand's participating alerting authorities via the app. Alerts are targeted to specific geographic locations. You will have control over the locations, types of hazard and level of alerts that you receive through the app. You’ll only get alerts for the locations you choose to monitor. You can also choose which hazards you receive alerts for in each location. More details, including the alerting authorities, are available under the Alerts section of the app and on the Hazard App FAQs page. The Hazard App is being rolled out region by region, by Civil Defence Emergency Management Groups. You will only receive alerts in areas where the local CDEM groups are actively using the app as one of their alerting tools (see active groups listed below). For any updates on when your region might be using the Hazard App as an alerting tool, please contact the Civil Defence group through your local city/district council. Use the Hazard App to send your own ‘I am safe’ message with your current location to your friends, family and social media accounts following an emergency. The app is designed to operate in large-scale emergencies when communication networks are under pressure. Some handy tools included in the Hazard App are an in-built torch, strobe light and audible alarm. If you wish to promote the app to your networks and encourage uptake of the app to help in emergencies, go to the Hazard App marketing assets page for online banners, FAQs, etc.